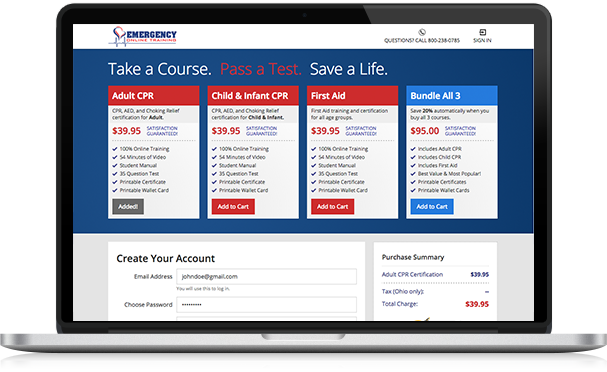 Emergency Online Training is a highly effective and easy to follow training program that allows you to get certified in CPR and First Aid all online and on YOUR schedule. Want To Know What's Included In The Training? We’ve designed each of our courses to be simple to follow and easy to understand. Each course can be completed in an hour from start to finish, or you can pause, rewind, stop and start at your convenience. You can train anywhere you please, anytime you please, because our programs are entirely online. There’s just 4 simple steps for you to get your certifications today. Once you choose the course that suits you best, you will click the order button and enter your credit card details to purchase the course and gain access. We use a secure shopping cart and we will not share your information with anybody. After completion of payment you will register your own unique user name and password which allows you to login anywhere that has an internet connection. Our programs contain high production easy-to-follow demonstration videos which adhere to the strict guidelines of the AHA, ILCOR, and OSHA. 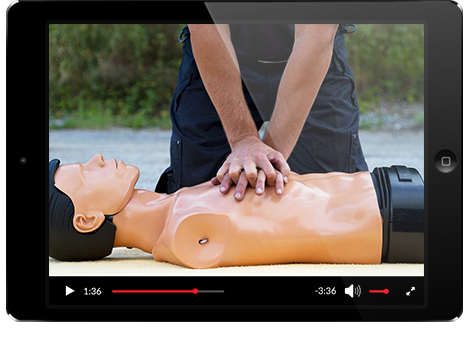 You can watch the training videos from start to finish in about an hour and be ready for your certification test. Or you can pause, rewind and review, or stop and come back whenever it’s convenient for you. 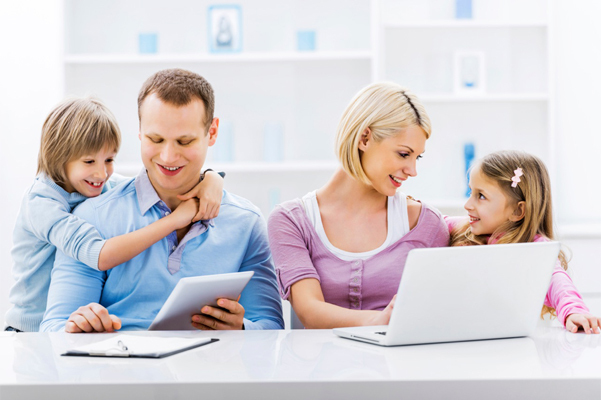 Emergency Online Training works perfectly for your schedule on your pace. After you complete the course, you can take your certification test which consists of 40 multiple-choice questions. The test can be completed in under 30 minutes and 80% or higher gets you a passing grade. If you score lower than 80%, you will be told which answers you missed so you can go back to the training, study some more, and retest. You have unlimited opportunities to pass the test. Congratulations! Once you have passed the 40 question test with a score of 80% or higher, you will be officially certified in the course of your choice and you’ll be equipped with the skills to assist in medical or injury emergencies at home. 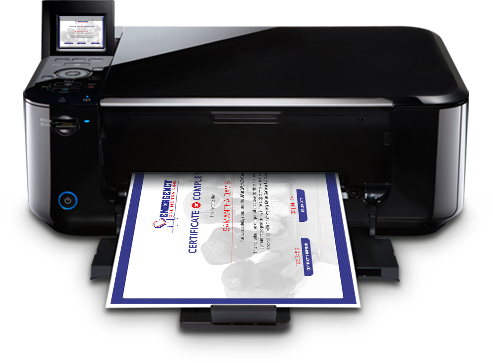 You’ll also be able to download and print your 8×11 certificate and/or a wallet card to carry with you at all times. From here you can log in for refreshers as often as you please for 2 full years.